Party Poker was one of the first and is still one of the best online poker rooms. They almost single-handedly pioneered online poker to make it what it is today, which is a thriving form of entertainment for poker players from around the world. 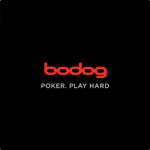 What we love most about this particular online poker room is that even though their name is already synonymous with online poker, they are still generous enough to offer free poker bonuses to all of their new players. For example, when you register an account and make your first deposit, you’ll be eligible to receive a fantastic 100% match bonus worth up to $50 in free poker money. This free bonus money is released to your account at the rate of $1 for every eight poker points that you earn, which means that it doesn’t take very long at all to get the full bonus amount credited to your account. So if you’ve been looking for a free poker bonus that you haven’t claimed before, you should definitely take advantage of the new player welcome bonus at Party Poker while it’s still available. What’s interesting about Party Poker is that they are fully licensed by two different licensing authorities. For international players, they are licensed by the Gibraltar Gambling Commissioner. For players from the United States and players from New Jersey, in particular, they are licensed by the Division of Gaming Enforcement. What this means is that they are authorised to provide real money poker games to players from many parts of the world, and it also means that they have demonstrated their ability to do so in a secure manner. To our knowledge, they were one of the first and also one of a select few online poker rooms to obtain a license to provide real money poker games legally to residents of the United States. This just goes to show that Party Poker is serious about maintaining its position as one of the premier online poker rooms. As such, we have no reservations about recommending them to any of our website visitors. The exceptional thing about playing online poker for real money at Party Poker is that they make it very easy to do so. Depending on your location, there are many different deposit options to choose from that you can use to fund your account. If you’re from New Jersey, for example, you can add funds to your account using either your credit card or Skrill by Moneybookers. If you’re an international player, there are quite a few more deposit options available to you; including Click2Pay, Neteller, PayPal, Ukash, WebMoney, and many others. Regardless of where you are from, you’ll be glad to know that Party Poker has a very fair smallest deposit amount, which means that you can play all of your favourite games for real money without worrying about your budget. So if you’re ready to get in on the action, visit their website today to get started. Since 2001, PartyPoker has consistently been one of the largest and trusted online poker sites open for real cash play. One of the safest places to play online poker. Games are available to players from most jurisdictions. Exclusive tournaments that you can’t play anywhere else.